I spoke English with an American accent when I first moved to Australia thanks to the six months my family spent living in a green apartment building in California when I was 4 or 5. My first language was Thai so the television show Dragon Tales was a great English tutor for me. The accent was still detectable in certain words I said for years after. I usually just get shortened versions of my name, but my favourite nickname is what my high school volleyball coach used to call me – Mrs Bee. Accidentally marrying a mob boss and then finding out the truth once it’s too late. A pocketful of heart and a teeny dash of whimsy. Sincere, hopeful, curious, excited, happy. The caterpillar from The Very Hungry Caterpillar. He eats a lot of delicious snacks and then gets to take a nap for a while and wake up beautiful. That seems like an ideal lifestyle. The year 2022 to see if I ever finished my second book. You should never have stopped cross-stitching. But good job keeping the same friends. Ever since we had to write narratives in primary school with a beginning, middle and end, I have loved writing stories. But after my dad passed away when I was 14, I was left with a lot of feelings I needed to get out somehow, and writing was a huge outlet for me. It was what I created during that time that made me actually consider writing as a career. Bliss. Because it is complete in itself and I think that when you say it aloud, it conveys its exact meaning and feeling. I like it a lot. My favourite book – When God Was a Rabbit by Sarah Winman. I read this book at least once a year. I still cry in all the same bits. It will stay beautiful, even if I read it over and over for the rest of my life. Sasha Beekman is a Thai-born writer who grew up in Darwin. As a kid, she’d probably spent one too many clear dry season nights watching the moon from under the mango tree in her backyard, and so her fascination with the moon began. She won two Young Territory Author awards while she was in high school and spent her gap year devouring matcha-flavoured everything and collecting Hello Kitty phone charms in Toyama, Japan. 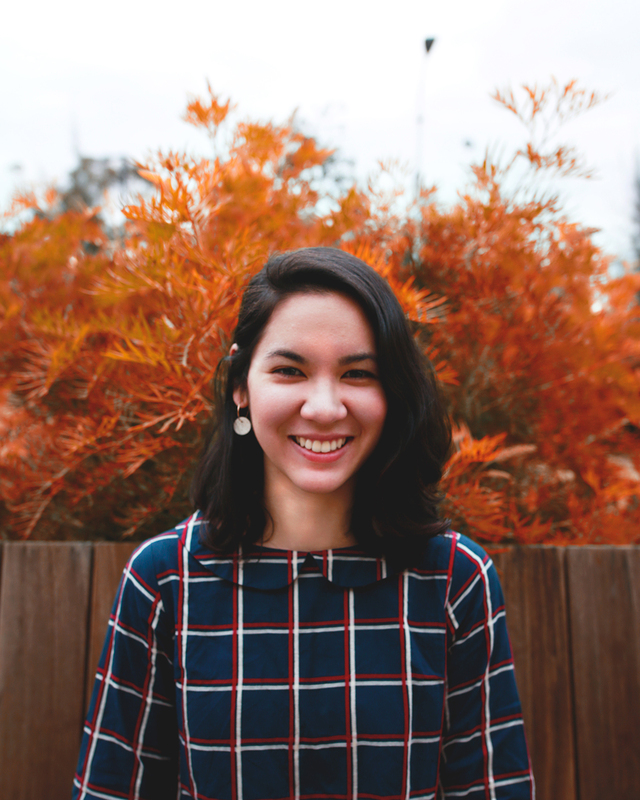 Once she’d finally had enough matcha and Hello Kitty, she moved to Melbourne to study an Associate Degree in Professional Writing and Editing at RMIT University. 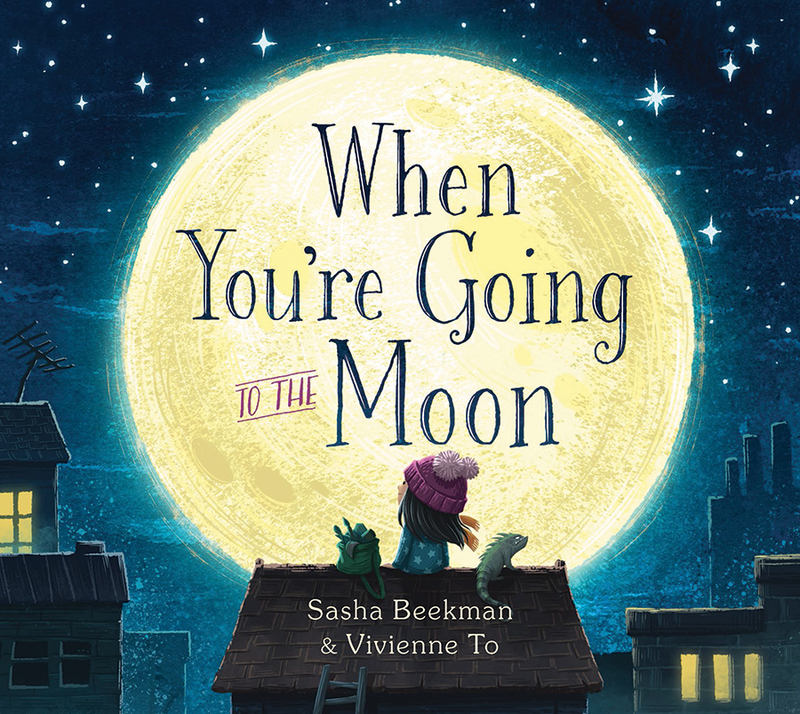 When You’re Going to the Moon (Affirm Press) is her first picture book.